New vegan friendly brand on sale at selected Tesco stores. 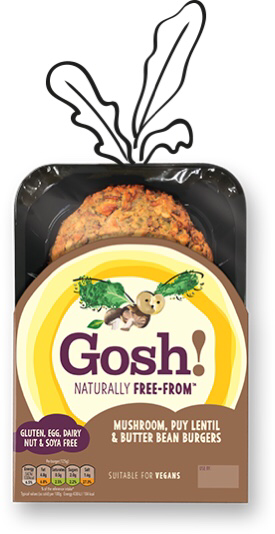 Have you heard of Gosh! and their range of burgers, bakes and bites, made using 100% natural ingredients, “as nature intended”? Naturally free from the top 14 allergens, including cereals containing gluten, eggs, milk, soya, nuts, peanuts, celery, mustard, sesame seeds, lupin, sulphur dioxide, crustaceans, fish & molluscs. So far I’ve tried their Mushroom, Puy Lentil & Butter Bean Bugers and can honestly say they are very tasty and quite impressive. 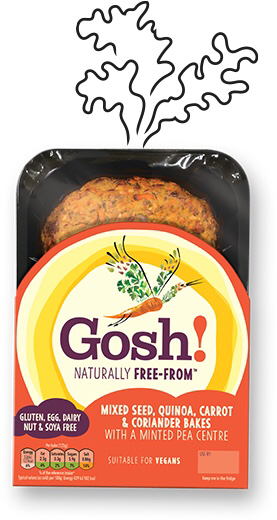 Baked in the oven for 15-20 mins, they are full of flavour and held together much better than most other vegan burger brands. 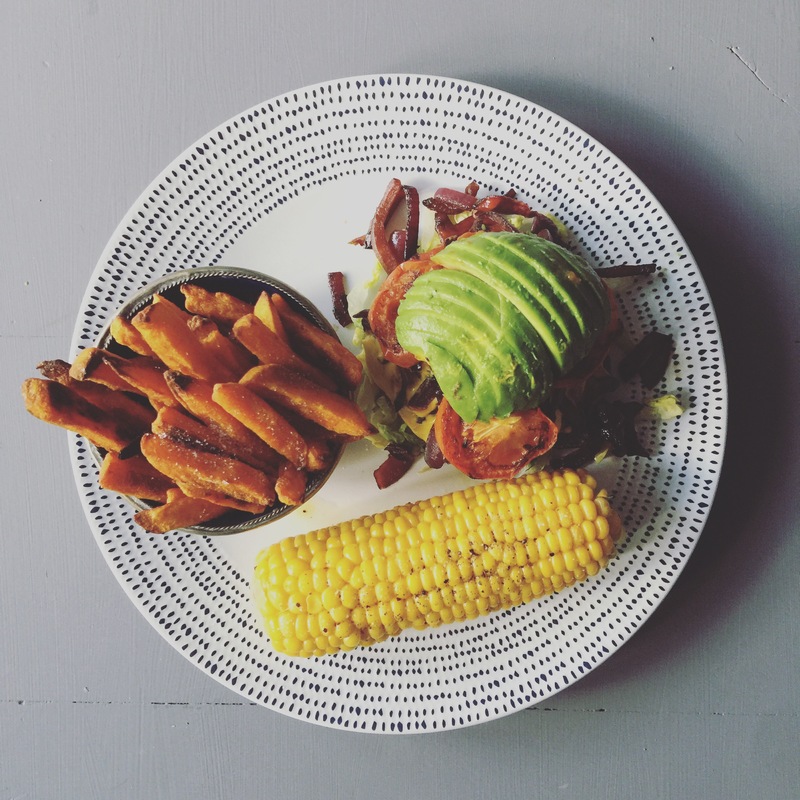 Each 125g burger is only 200kcals and contains 7.7g protein and only 2.3g sugar. I’ve also just purchased the Mixed Seed, Quinoa, Carrot & Coriander Bakes with a Minted Pea Centre am hope these will be equally as tasty. The whole range has been approved by both the Vegetarian & Vegan Societies. Check out the whole range on sale online at Tesco or to find out more, including where you can purchase, check out their Facebook page or website.